Shoppers Drug Mart's partnership with RBC Mastercard is ending! If you have the Royal Bank & Shoppers Drug Mart co-branded debit card and Shoppers Optimum Mastercard sadly you won't be able to use it for much longer. This card was a great idea as it allowed Shoppers customers to earn extra Optimum points and it meant more chances to redeem. The 200,000 existing customers that have these cards will be switched over to other RBC banking products this fall (info found here). Shoppers cites "business reasons" for the cause of this breakup. As we all know Shoppers was sold to Loblaws so it's no surprise that changes such as this are occurring. I personally didn't use this card. I try and avoid credit cards because to be honest with you, I am terrible at paying them off. But I know lots of our readers used this card and benefited from it greatly (this is of course possible if you pay it off right away!). My biggest fear is that the Shoppers Optimum Program will end in the near future, hopefully I am wrong. Please note the end of the co-branded credit card and banking account program does not impact the Shoppers Optimum Program. 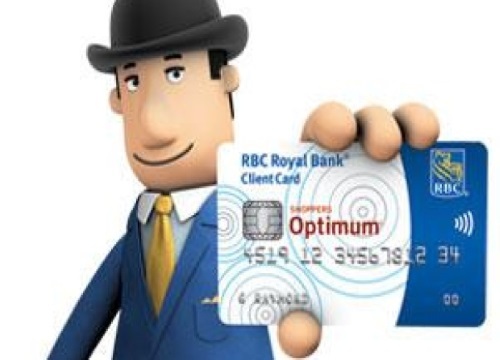 With this RBC/Shoppers Optimum Card going away perhaps we can look forward to a possible PC Financial/Shoppers partnership card in the future. Did you use this card? Are you upset to see it go away? Please leave a comment below, or chat with us on our Facebook Page.